Later this year, Kelli and I celebrate 10 years of marriage. It’s amazing to think that a decade has nearly passed since we tied the proverbial knot. In that time, we’ve almost always been of one mind on a variety of issues. That’s especially true of the recipes we write for this blog and our cookbooks. With rare exception, the recipe you get—and the photo that goes along with it—is a collaborative effort that involves both of us. 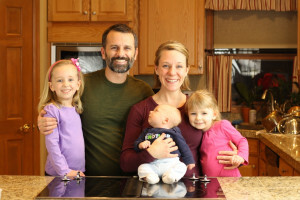 But when it came time to plan this recipe, I learned something new about Kelli. She likes oatmeal cookies, and she likes raisins, but she does not like raisins in her oatmeal cookies. I, on the other hand, am an oatmeal raisin cookie traditionalist. It does not happen often in our relationship, but in this instance I drew a line in the sand and put my foot down—we were going to make proper oatmeal raising cookies. No oatmeal chocolate chip, like Kelli suggested. No oatmeal Craisin, as she also suggested when I vetoed the chocolate chips. 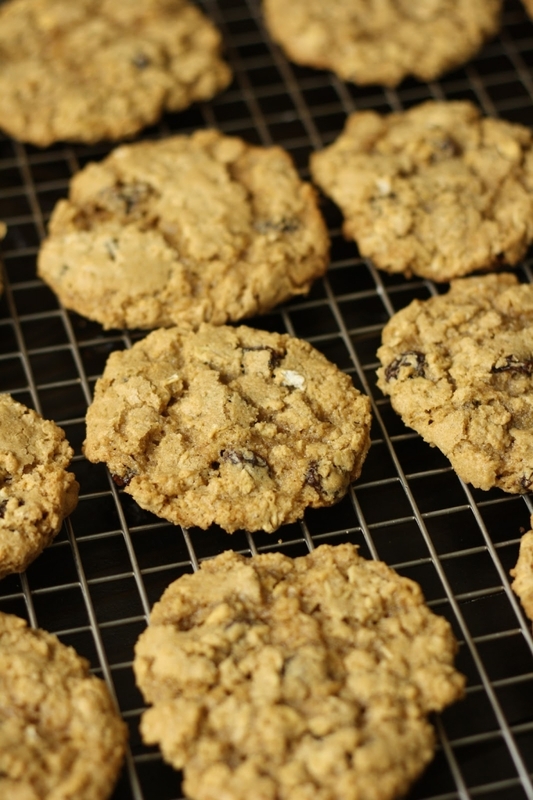 The cookies are delightfully chewy, with just the right amount of raisins, and thanks to a 1:1 gluten-free flour to oats ratio, plenty oat-y. 1. Preheat the oven to 375 deg F.
2. In a stand mixer, cream together the butter, sugars, and vanilla, until fluffy. 3. Add the eggs and mix until incorporated. 4. In a separate bowl, combine the flour, baking powder, baking soda, salt, cinnamon, and xanthan gum. Add to the mixer and mix until incorporated. 5. Add the oats and mix. Then add the raisins and mix. 6. Use a cookie scoop or spoon to drop the dough on an ungreased cookie sheet, about 2 inches apart. 7. Baked 10–12 minutes, until lightly brown and the edges crispy. 8. Let cool for a few minutes on the cookie sheet, then transfer to a wire rack to let cool completely. * When we made this recipe, we used 2 cups (250 g) of flour to account for the altitude here in Colorado. We wrote the recipe, however, down-calculating for sea level. 1. This recipe makes a thick dough. If your mixer is working too hard, you may mix the oats and raisins in by hand. « Will the strictest gluten-free standards in the world roll back? Do you soak your raisins first for 30 minutes in hot water? My mother use to do this all the time. I prefer to soak my raisins even when they’re fresh because it makes them nice and plump. Does it matter which type of oats are used? I have Bob’s Red Mill GF Quick Oats, but would the regular be better? We used Bob’s Red Mill GF Old Fashioned Rolled Oats, but the quick oats should work as well with a slightly different texture in the end product. My son made these for our family this evening! Delicious! We only made one change because of my issues with sugar – coconut sugar instead of the other sugars. Turned out fabulous!!! Thank you! I am so glad you enjoyed the cookies and thanks for letting us know about the substitution with coconut sugar. I just baked the chocolate chip cookies from your book, and they were amazing! I’m really excited to try this one now. 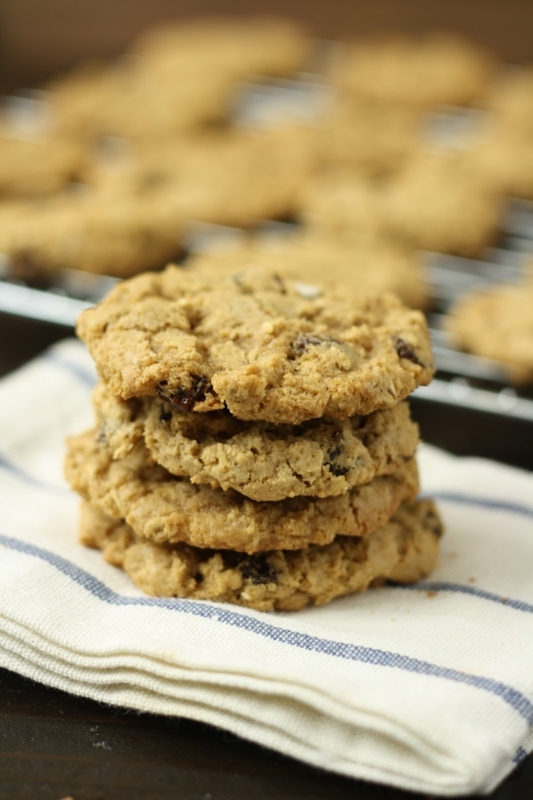 Your oatmeal raisin cookies look amazing! Made this recipe with applesauce instead of eggs. They are fantastic! Thank you! How do you store your cookies and biscotti? GF products tend to dry out really quickly. We store out cookies in an airtight container on the counter or if we are not going to eat them in a few days, we put them in the freezer. We find the cookies are great pulled right out of the freezer! I find that cookies just don’t last long enough to dry out around here. I LOVE oatmeal cookies with raisins, but I also like oatmeal cookies with Belgian dark chocolate and dried cherries. I’m going to have to try this recipe both ways. Thanks. The Belgian chocolate and dried cherries sounds like a great combo in the cookie!! These cookies are delicious!! I can’t get over how moist they are. They are the best cookies I’ve had since I went gluten free about 4 years ago. thank you for sharing. Cathy – We are so glad you have enjoyed the cookies so much! Thank you for letting us know! These oatmeal raisin cookies are the best! 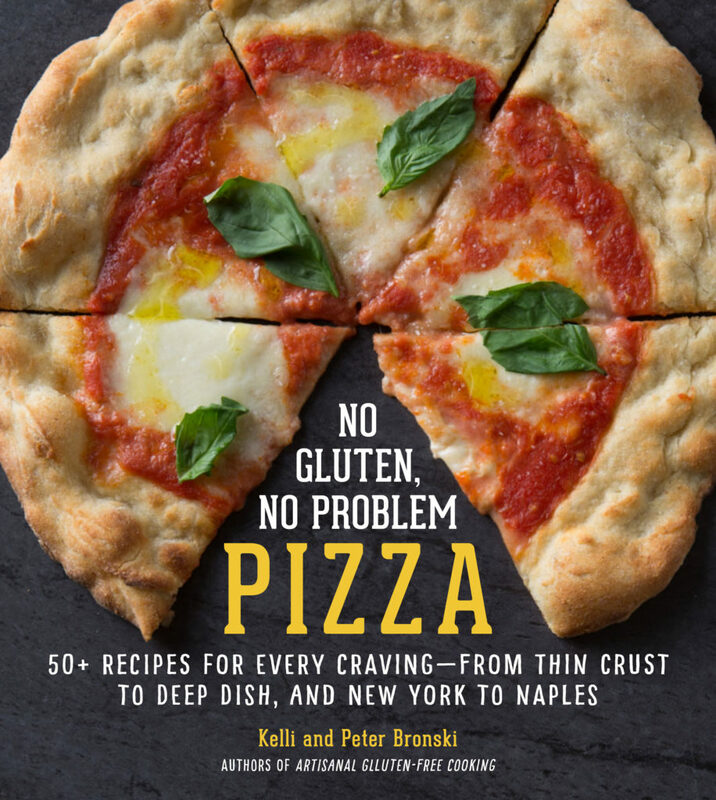 With recipes like this, I am GLAD to be gluten intolerant! Thank you! Just made these yesterday for my 2 children who are gluten free. They are delicious! Hard to tell they are wheat free! So glad to hear that you and your kids enjoyed the cookies! Made these this weekend for my boyfriend, oatmeal raisin cookies are his FAVORITE. only thing I changed was using “earth balance” instead of butter, since he has both a gluten & dairy intolerance. Came out perfectly…he loves them (now this won’t be a ‘gluten-filled cheat cookie’ for him)!! Thanks so much for this awesome recipe! Do I omit the xanthan gum if my flour mix already has some? Thanks! Even if your flour mix has some xanthan gum, it’s unlikely it has the 2 tsp per batch called for in this cookie recipe. So you should probably start with 2 tsp (or a little less) and see how the cookies turn out with the blend you’re using. If they don’t spread enough and/or have too gummy a texture, dial the xanthan gum back. If you try it please let us know how it turns out! Thanks!